Regular readers of this blog know I rarely speak about personal stuff. 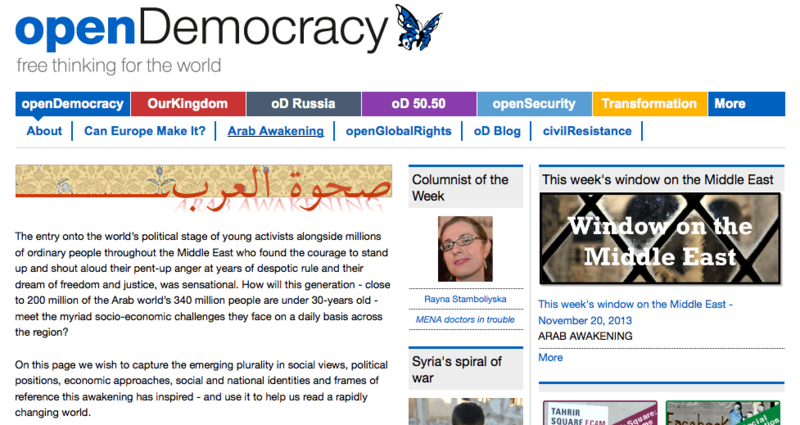 This time is one of these times though: Open Democracy’s Arab Awakening section named me ‘Columnist of the Week’! I’m very humbled and glad, and hope more attention will be drawn to the article that’s the reason of such a nomination: MENA Doctors in Trouble.